Cyberthreats keep growing as business becomes increasingly digital and the attack surface expands. Today’s organizations recognize the dangers, and are ramping up their investment in cybersecurity solutions, hiring more security personnel, and developing risk-based strategies. But will it be enough to keep them secure? 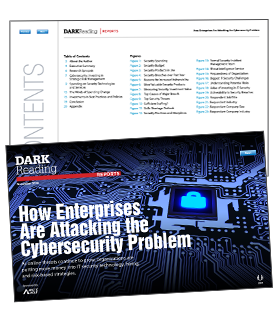 Dark Reading’s report: “How Enterprises Are Attacking the Cybersecurity Problem” highlights the growth in year-over-year cybersecurity spending, and where enterprise firms are allocating their security investments and resources. Discover more about what enterprises are doing to bolster their cybersecurity by downloading the full report.